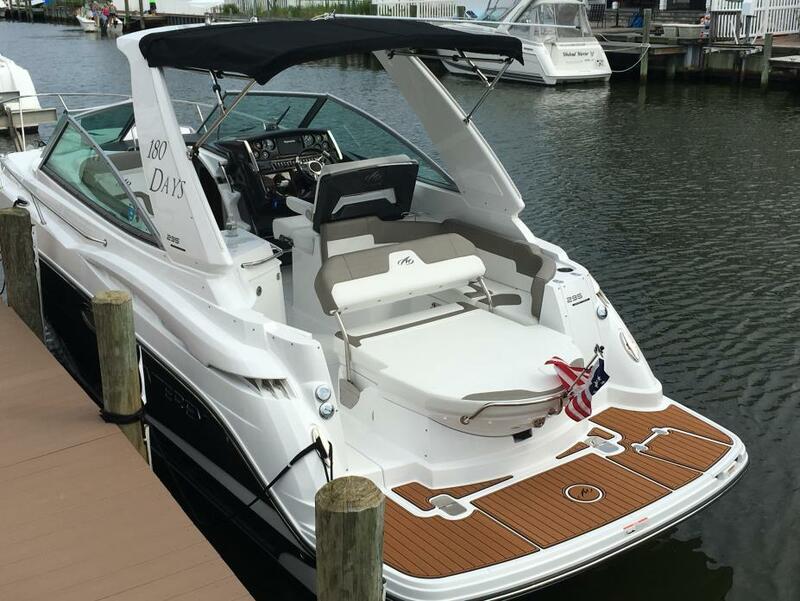 2017 Monterey 295 Sport Yacht Distinctive Quality Distinctive lines and superior performance define the 295SY. With a 29' length and a wide 9'2 beam, the 295SY is roomy, comfortable and stable. The stylish helm features a dual helm seat with flip up thigh rise bolster with ample storage underneath. The large wet bar is perfect for preparing snacks and drinks. The integrated swim platform is both stylish and functional, allowing easy access in and out of the water via a telescopic stainless steel boarding ladder. 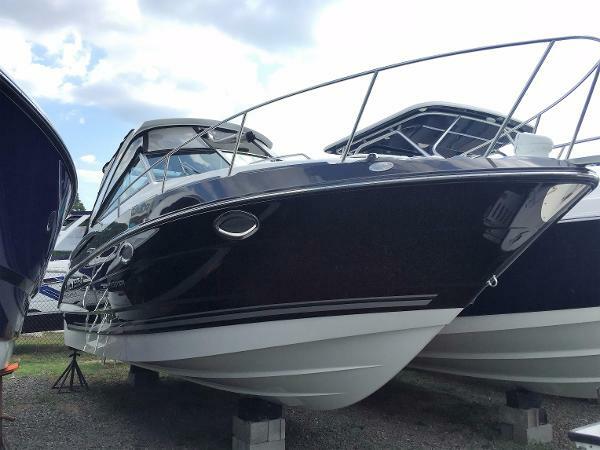 2017 Monterey 295 Sport Yacht 2017 Monterey 295 SY. 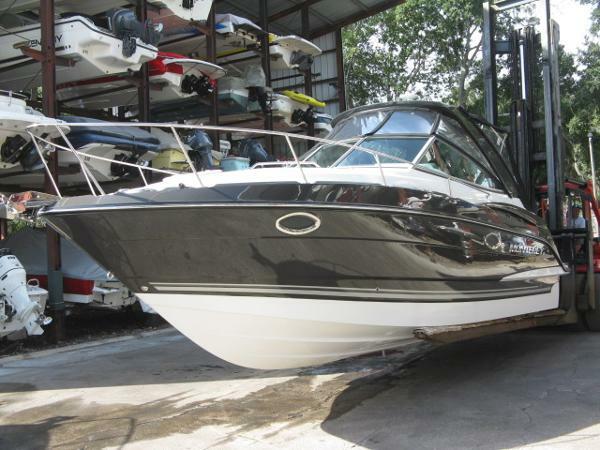 Mercruiser 8.2L Mag V8 430 hp. 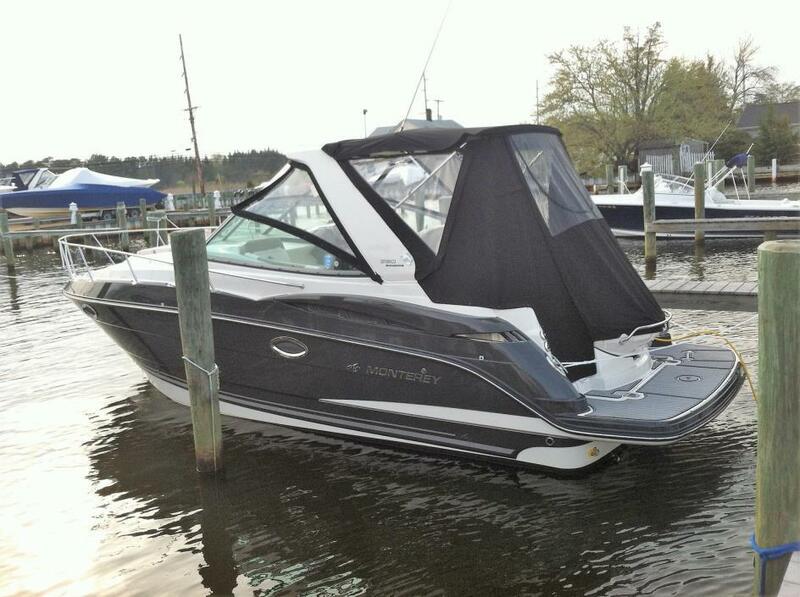 the drive is a Mercruiser Bravo III drive with stainless steel props. This combination of power in this boat will be totally awesome. Also included is DTS - This is Digital Throttle and Shift. DTS allows super smooth shifting, ease of use to advance the throttle and superior acceleration, you want this! Another must have in a mid size cruiser is bow thruster. When you only have one engine with this large of boat you need to be able to control side direction when it is windy. 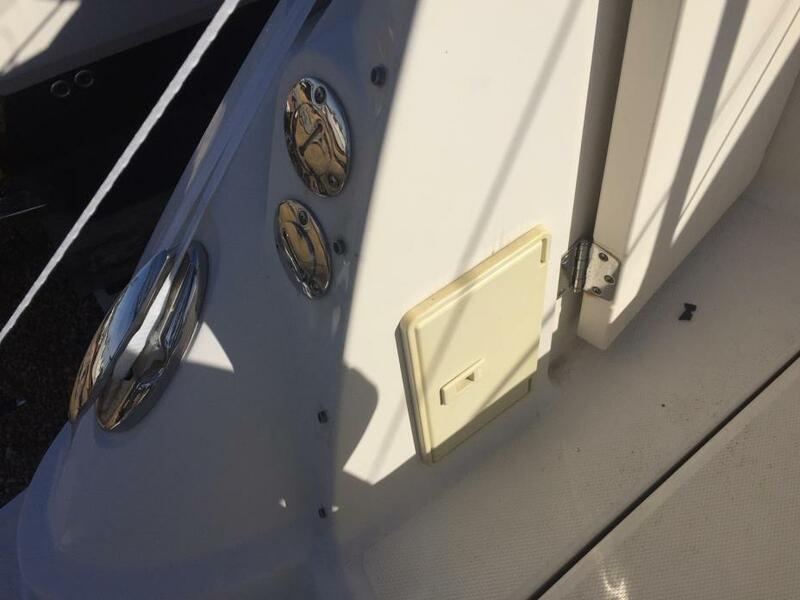 It makes it east to get into marina slips and gas docks. Trust us, you will be thankful later! Other options in the boat include: Deck color - Sapphire Blue Hull side color - Sapphire Blue Hull bottom color - Arctic White Bow & cockpit covers - snap on Full enclosure canvas Stainless steel windlass electric anchor Remote controlled spot light Sea deck soft flooring on the swim platform and cockpit floor Underwater LED lights Refrigerator in cockpit Electronics package - Raymarine Stern mounted stereo remote 19" tv in cabin Central vaccum unit Cabin air conditioning Bow Thruster Distinctive lines and superior performance define the 295SY. With a 29' length and a wide 9'2 beam, the 295SY is roomy, comfortable and stable. The stylish helm features a dual helm seat with flip up thigh rise bolster with ample storage underneath. The large wet bar is perfect for preparing snacks and drinks. The integrated swim platform is both stylish and functional, allowing easy access in and out of the water via a telescopic stainless steel boarding ladder. 2016 Monterey 295 SPORT YACHT, BROKERAGE BOAT.... 2016 MONTEREY 295 SPORT YACHT, EXCELLENT CONDITION ONLY 30 HOURS ON MERCRUISER 8.2L 380 HP BRAVO III. SELLER MOTIVATED. DTS ENGINE OPTION - WINDLASS ANCHOR - COCKPIT COVER - COCKPIT FRIDGE AC/DC - 15' LED TV 7 DVD PLAYER - SOLID WOOD DINETTE TABLE - STEREO UPGRADE PKG - 8,000 BTU A/C W/ HEAT.PICTURES TO COME. 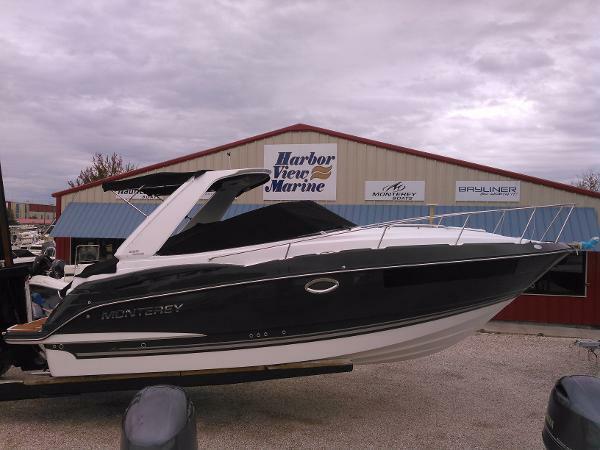 2016 Monterey 295 Sport Yacht Onyx Deck Stripe, Onyx Hull Stripe, Electronics Package (Raymarine E70 GPS/Chart: Raymarine 260VHF Radio), Remote Searchlight, Anchor Windless, 8000 BTU A/C Unit, Platform Propane Grill, Cockpit Refrigerator (ac/dc), 15" LED Flat screen DVD/TV, SeaDek Swim Platform Inlay, Woven Snap-in Cockpit Runner, Towel/Dinette Set, Cockpit Cover. 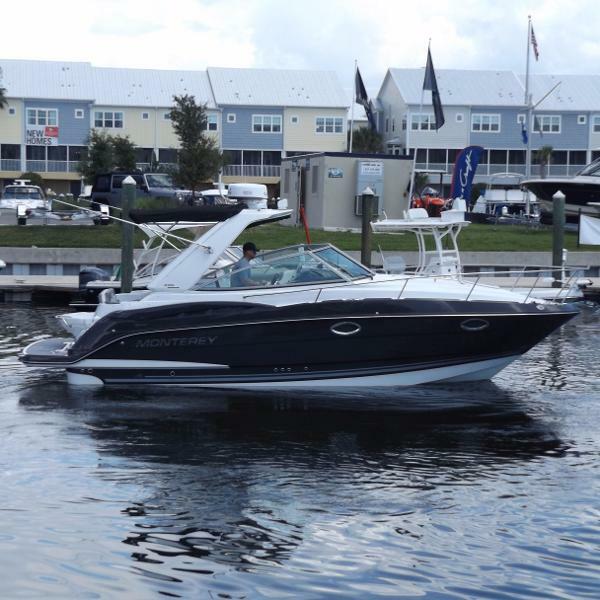 2015 Monterey 295 Sport Yacht What a beautiful looking boat. 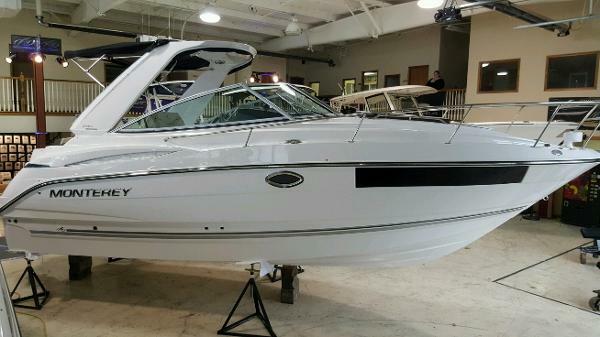 2015 Monterey 295 Sport Yacht Just taken in on trade! Beautiful boat in like-new condition. 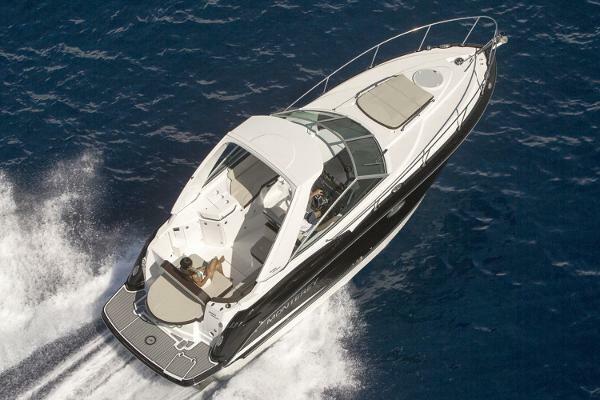 Distinctive lines and superior performance define the 295SY. With a 29' length and a wide 9'2 beam, the 295SY is roomy, comfortable and stable. The stylish helm features a dual helm seat with flip up thigh rise bolster with ample storage underneath. The large wet bar is perfect for preparing snacks and drinks. The integrated swim platform is both stylish and functional, allowing easy access in and out of the water via a telescopic stainless steel boarding ladder. Powered by a single Mercruiser 8.2L, 380hp engine with 127 hours. 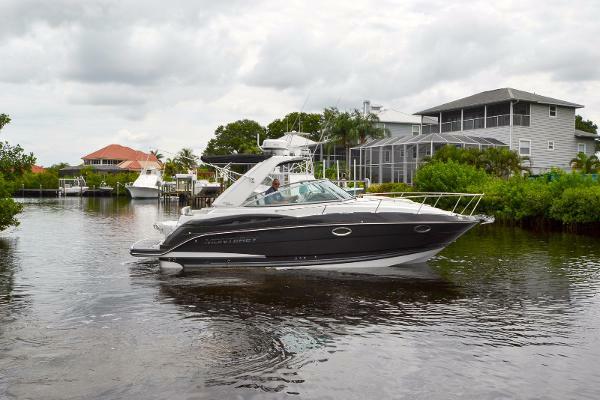 2016 Monterey 295 Sport Yacht The Monterey 295 Sport Yacht on the Florida / Alabama Gulf Coast. Distinctive lines and superior performance define the 295SY. With a 29' length and a wide 9'2 beam, the 295SY is roomy, comfortable and stable. The 3.5 kw gas generator and the A/C w/Reverse Cycle Heat will keep your cabin temp comfortable all year. The stylish helm features a dual helm seat with flip up thigh rise bolster with ample storage underneath. The large wet bar is perfect for preparing snacks and drinks. The integrated swim platform is both stylish and functional, allowing easy access in and out of the water via a telescopic stainless steel boarding ladder. The swim platform is also easy on your feet with Seadek swim platform inlays. This boat includes the optional woven cockpit flooring. Pulling the anchor will be a breeze with the windlass. When you are ready to button it up, keep the boat neat and clean with the fitted canvas cockpit cover. 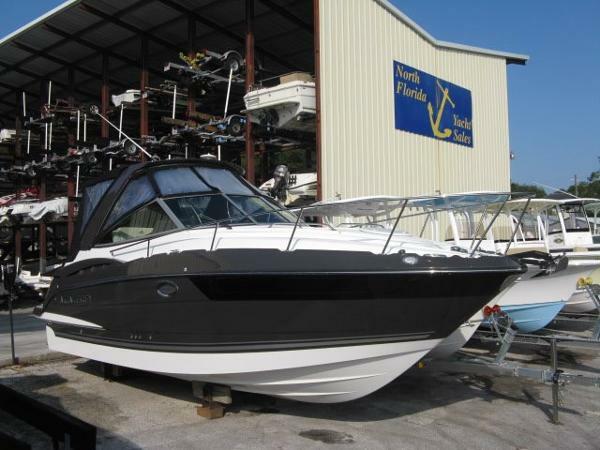 Contact us for the Best Discounted price on this boat. 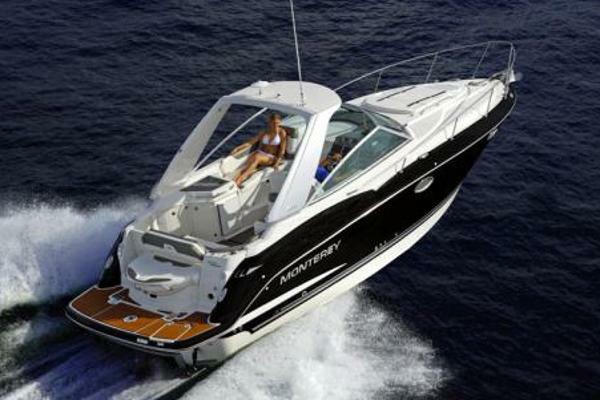 2016 Monterey 295 Sport Yacht Distinctive lines and superior performance define the 295SCR. With a 29' length and a wide 9'2 beam, the 295SCR is roomy, comfortable and stable. The stylish helm features a dual helm seat with flip up thigh rise bolster with ample storage underneath. The large wet bar is perfect for preparing snacks and drinks. The integrated swim platform is both stylish and functional, allowing easy access in and out of the water via a telescopic stainless steel boarding ladder.